Bedrock. That name needs to be imbedded (Ha! Bad Pun Moment) in your head. They are the ultimate in not only high-end, but this North Coast offering is always spot-on at a mere pittance of what it’s worth. A compilation of Hudson, Weill Gibson Ranch and Shake Ridge and enjoys 40% whole-cluster fermentation and co-fermented with 2% Viognier (fun times!). 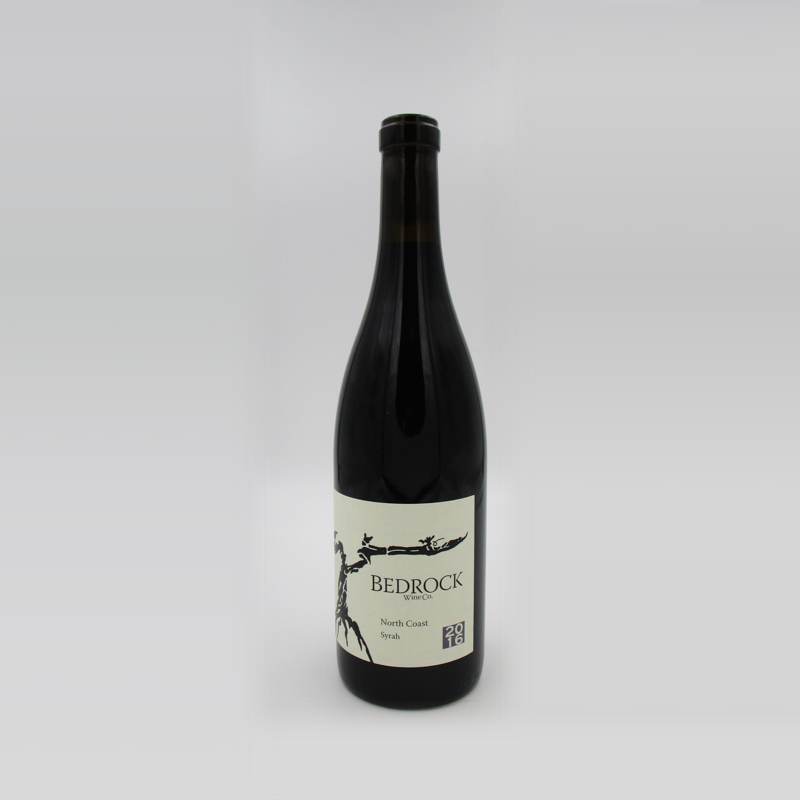 Meaty, aromatic, purple fruits, violets, velvety. A veritable Pleasure Palace. Bedrock Wine Co. was started in 2007 by Morgan Twain-Peterson. Working out of a small converted chicken coop in a friend’s backyard (with a basket press & outside fermenters), Morgan focused on making personality-filled wines wrought from a small array of thoughtfully farmed vineyards. Through hard work, a tenacious devotion to the vine, and partner-in-crime, Chris Cottrell, said humble beginnings evolved into an “elegant” tin-sided warehouse and a dedicated staff of highly decent human beings.